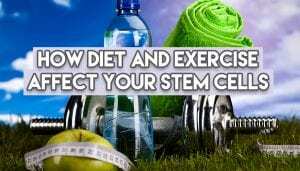 How Diet and Exercise Affect Your Stem Cells - Piedmont Physical Medicine & Rehabilitation, P.A. (including stem cell therapy for musculoskeletal pain). Proper diet, nutrition and exercise have demonstrated to be key components in healthy living, and they give you optimal support in receiving treatments. But a healthy lifestyle is also beneficial for your stem cells even prior to harvesting and repurposing. Studies have shown that those with poor blood sugar control (including diabetics) have fewer stem cells circulating to repair damaged arteries. This means that an excess amount of sugar and refined carbs can damage and decrease the number of healthy stem cells you have. Foods like white bread, pasta, rice and sweet fruits lead to too much insulin production. When this is paired with little inactivity, it can lead to metabolic syndrome (which is a group of factors that raise your risk for heart disease and other health problems). This, in turn, is not a beneficial environment for producing healthy stem cells for harvesting. Another way that your health affects your stem cells is through calorie intake. In one research publication, mice were tested to see if calorie restriction altered any part of their stem cells. And, as researchers had hoped, muscle stem cells of the mice improved function once they implemented a calorie restriction. Now, this study was done on mice, but it may very well be applicable to humans. This doesn’t mean that you have to severely limit your calorie intake, but if you cut back on excess calories in a healthy manner, then you may see an improvement in stem cell activation, production and health for harvesting. Our last noteworthy point on effective ways to watch your diet for healthy stem cells is eating fresh food. Our world has become increasing reliant on consuming “food-like” products that aren’t actually food. Pre-packaged foods can be full of artificial chemicals and additives that simply aren’t healthy for you or your stem cells. This includes canned foods and instant meals. Many of these additives have no place in our bodies and aren’t easily digested. Research has revealed that these chemicals have the potential to alter the state of healthy stem cells – turning them into cancer cells. The key is to look for foods that took the least amount of steps to get on your plate. The fresher it is, the better it is for your body. 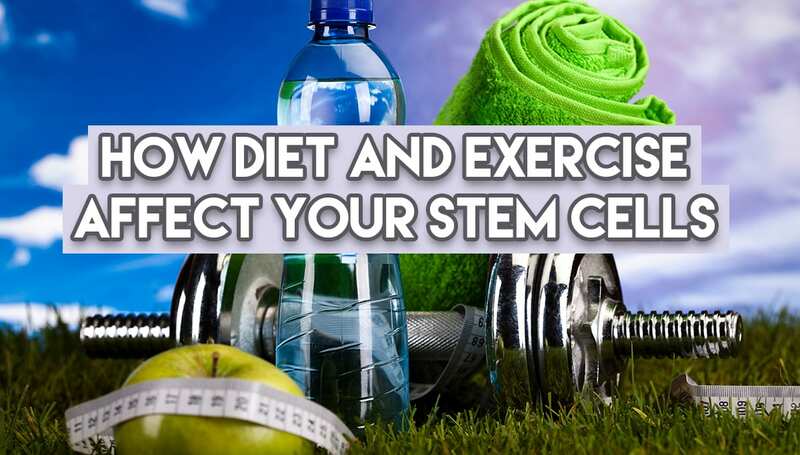 Apart from managing a healthy diet, exercise and staying active are also important components to producing healthy stem cells. Regular exercise has shown to slow down aging and keep the body revitalized. It helps maintain a healthier and larger group of stem cells in several different organs. Not to mention that it helps prevent the risk of heart disease, and other health complications that can also affect your healthy stem cells. If you plan on receiving a stem cell treatment, be proactive about the procedure. It’s good to be knowledgeable about what you can do to make the experience better and more effective. Our recommendation for the month prior to your treatment, is to cut back on excess sugar and refined carbohydrates, limit calories or cut excess calories, eat fresh foods, and exercise daily at a moderate level. You’ll be prepping your body to produce the best and most stem cells for your regenerative medicine treatment. If you would like to know more about our stem cell transplant therapy in Greenville, you can visit this page here, or call us at 864-235-1834 for more information.